Maybe as a baby I liked taking naps. But as a six-year-old, with the great outdoors to explore, it was boring. Inconvenient. A total waste of time. The only one who benefited from it was my mother, who was relieved to get me out of her hair for awhile. Most days, after a bit of tossing and turning, I could finally doze off. Other days my overactive brain just would not go to sleep, telling me I could be outside playing in the warm sunshine, swinging on the swing or looking for lizards under rocks. And I could even be wading in the creek if I didn’t have to take a stupid nap. Beneath my bedroom was a back room; our everything room where the kitchen sinks, water pump, and galvanized tubs were. It even had a small heater standing in the middle of the large, unfinished room where we would stand to get warm after our baths. Whenever I’d hear a noise down there, I’d sneak out of bed, crawl to the hole in the old wooden floor and have a peek. One day my fourteen-year-old brother had taken a bath and was standing stark naked in front of the heater. When he looked up at the ceiling I jumped back in bed for fear he’d catch me looking at him and tell mom. One thing good I can say about nap time. When I couldn’t sleep, I had plenty of entertainment. 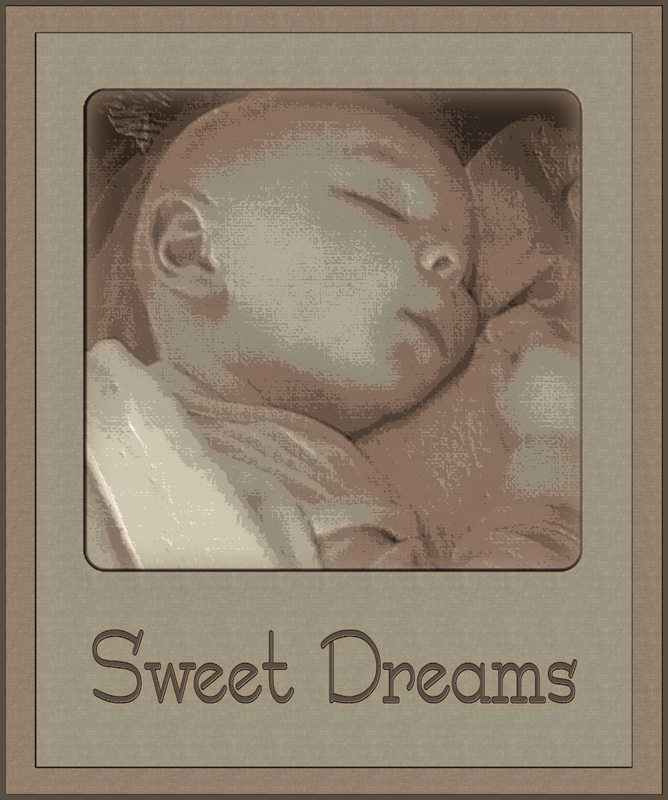 The digital painting is of my great-grandson, Gideon. He is now going on three. He doesn’t like nap time either!